Typo in the part number on the features tab, FYI. can these be daisy chained? As stated here the chip doesn't package the communications, so you can treat this as simply a wire in your IÂ²C bus (albeit one that needs to terminate in another chip before it can be used for interfacing to other IÂ²C devices). You can also do multiple drops from the cable side, if that works better for your application. If you have drops off the differential cable, they need to not be terminated, so just remove the termination resistors from this board. 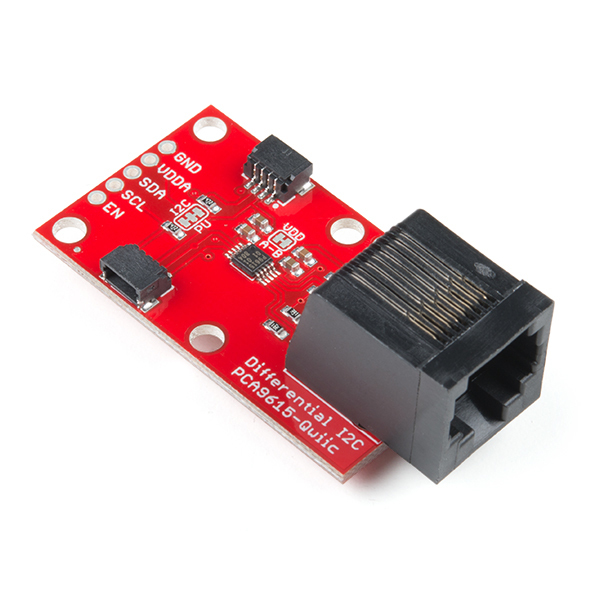 I have been using RJ11 and RJ45 breakouts for running I2C sensors for a while, but always less than 2 or 3 meters. These will allow me to do much longer runs with solid data integrity. 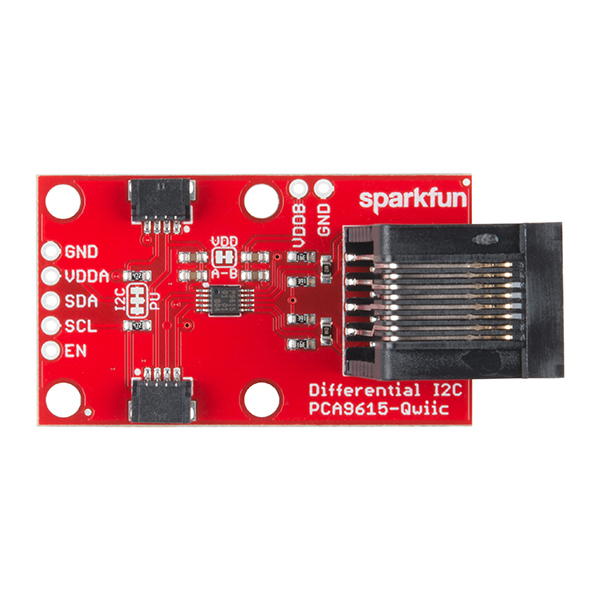 Iâve been thinking of doing something similar and now SparkFun has saved me the trouble! The addition of the Qwiic connections is a nice touch also. Great value in this product. I tested at 1,6,25,50 and 100 ft cat 5e wire still delivers data. 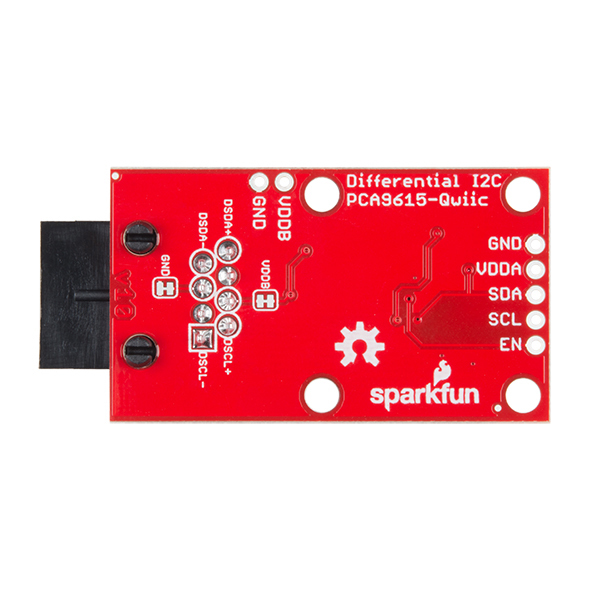 For fiddling around on the bench, the hot plug capability saves endless reboots - want to try a different qwiic board? Unplug the RJ-45, plug in the new board, plug the RJ-45 back in and scan for it. I use a pair with a 1 m Ethernet cable for just that purpose all the time. 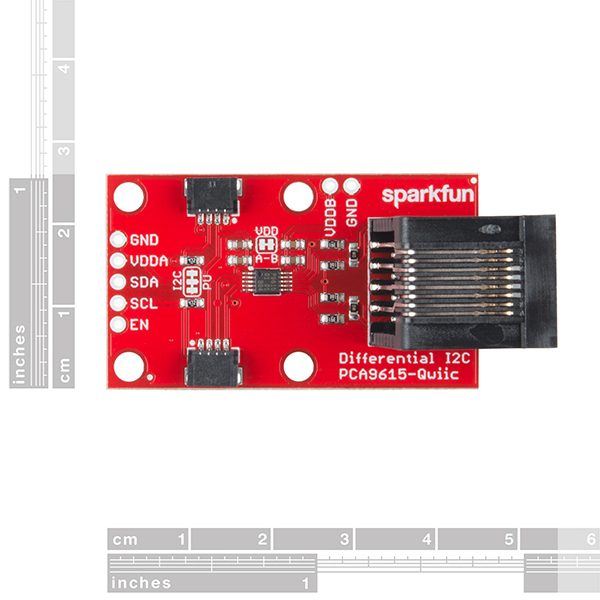 Iâm looking forward to using it for its other purpose (extending i2c/better noise immunity) as soon as I have a need. New product idea: combine a qwiic hat + 14589 (this) into one board.